Active immunization against pasteurellosis in sheep, goats and cattle. 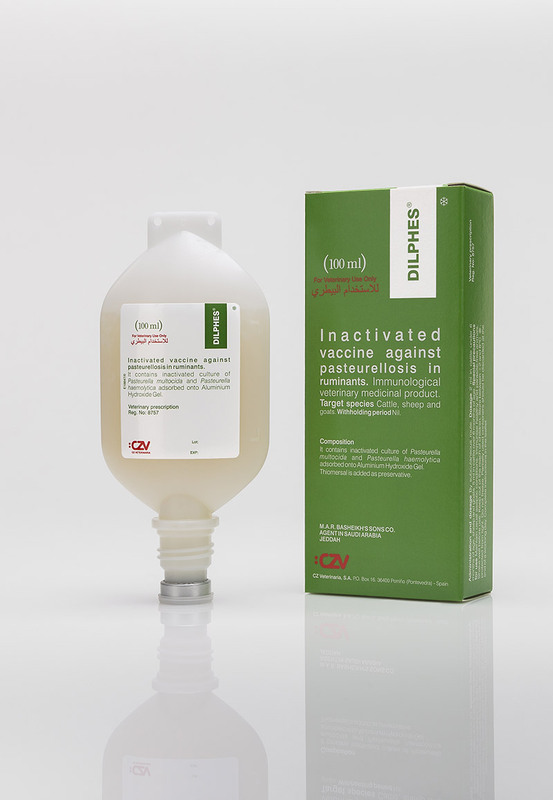 Inactivated vaccine which contains Pasteurella multocida and Mannheimia haemolytica. Adsorbed onto Aluminium hydroxide gel. Dose 5 ml for cattle over 6 months of age, and 2 ml for sheep, goats and cattle under 6 months of age. Primary vaccination Administer 2 doses with an interval of 4 weeks between them. Revaccination A single boosting dose every 6 to 12 months.